The fixtures are Straight-Entry Scan Hooks. 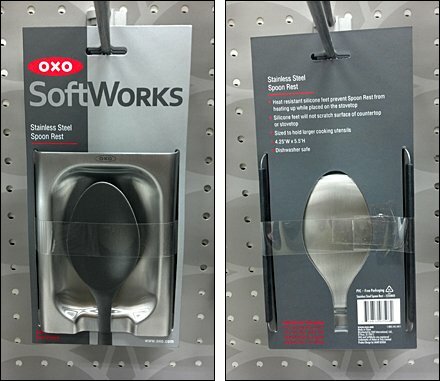 But the cooking utensil demonstrating the spoon rest‘s function is a cardboard cutout of the package itself … the Spoon Rest Utensil is Die-Cut Hero. The front and back views above show the package concept at point-of-purchase. Clever indeed. 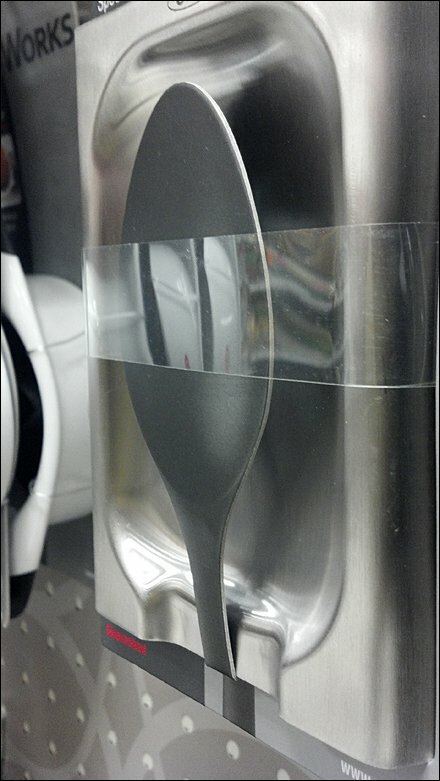 See the Spoon Rest Utensil is Die-Cut Hero thumbnail for an angled view of how it works. Though simple, this is quite a creative concept.